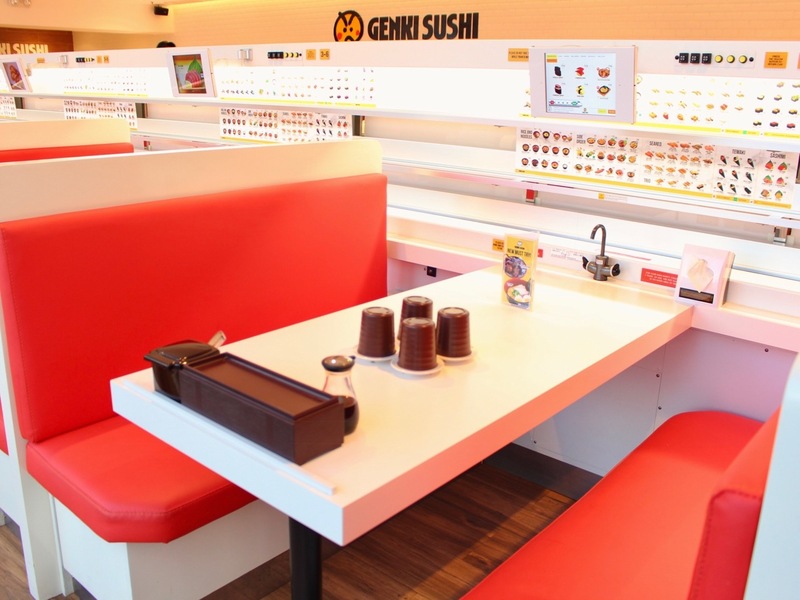 Genki Sushi is a conveyor belt sushi restaurant franchise established in Japan in 1968. One unique feature about the restaurant is their use of ipads as an ordering system. 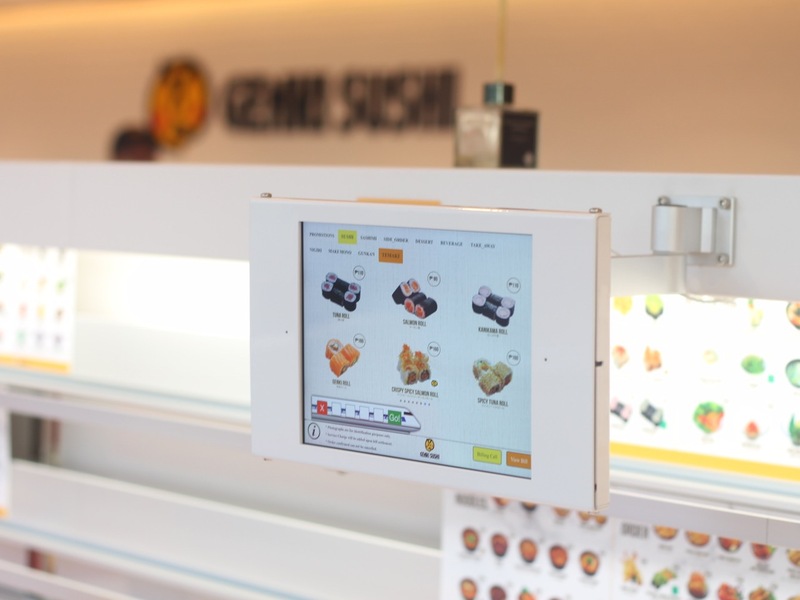 With this device, you will be able to see the price per item, and even your running bill so you won't have to worry about going over your budget! Your orders will then be served to your table by the sushi train. 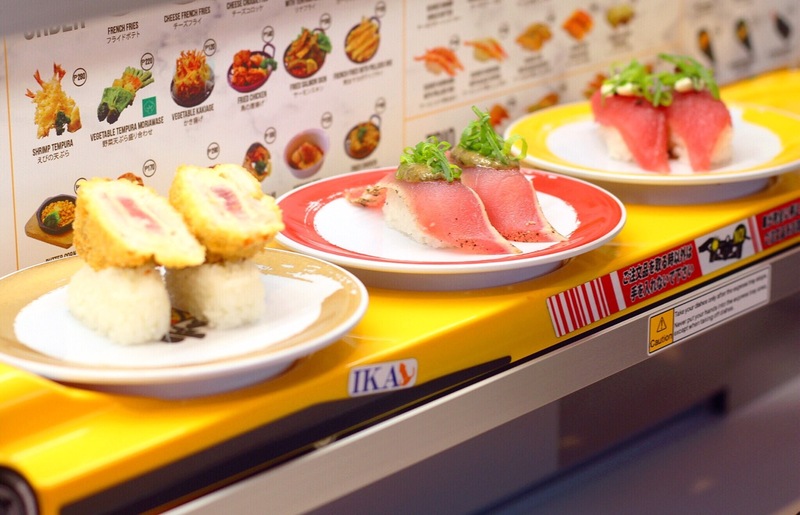 You also press a button to make the train return to the kitchen after you have retrieved your orders. 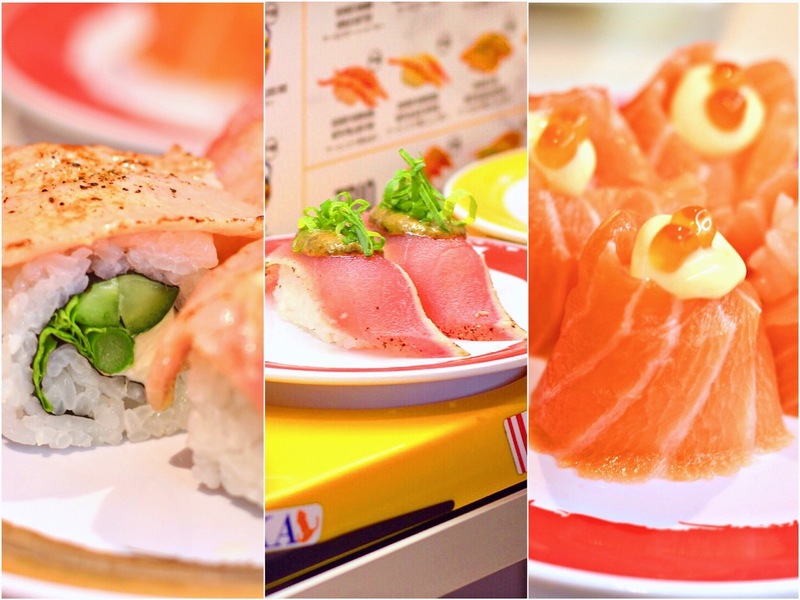 So now that I have discussed the idea behind the restaurant's unique ordering system, why don't I give you a glimpse of what some of the food looks and tastes like? 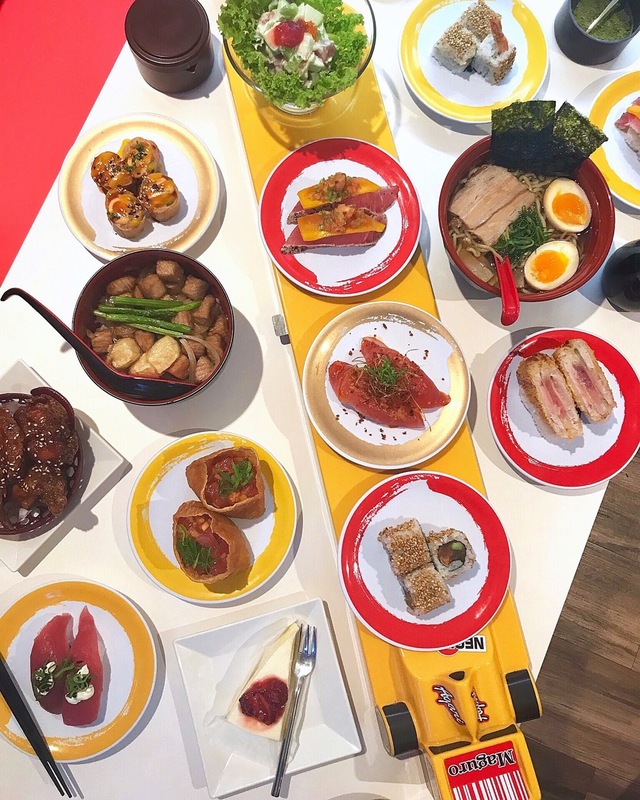 I was not able to try any of the Gunkan items, but I do think it's one of the first ones I am going to order in my next (of many) visit(s). More and more restaurants have been offering inventive dishes using the breakfast staple spam, and this spam tamago sushi is Genki's version. 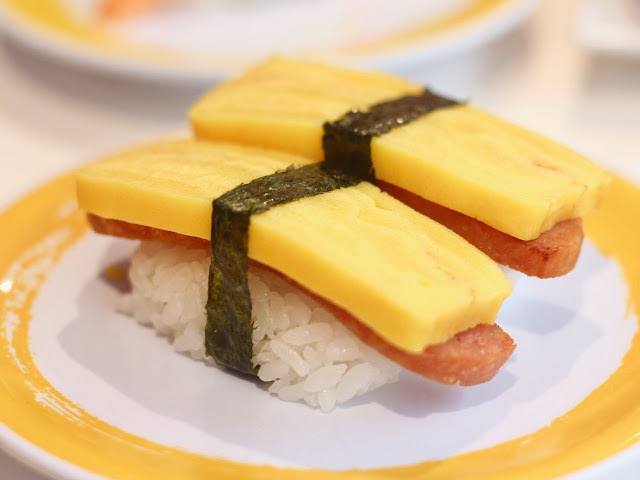 It's just your Japanese rice topped with spam and tamago. Pretty basic, huh? 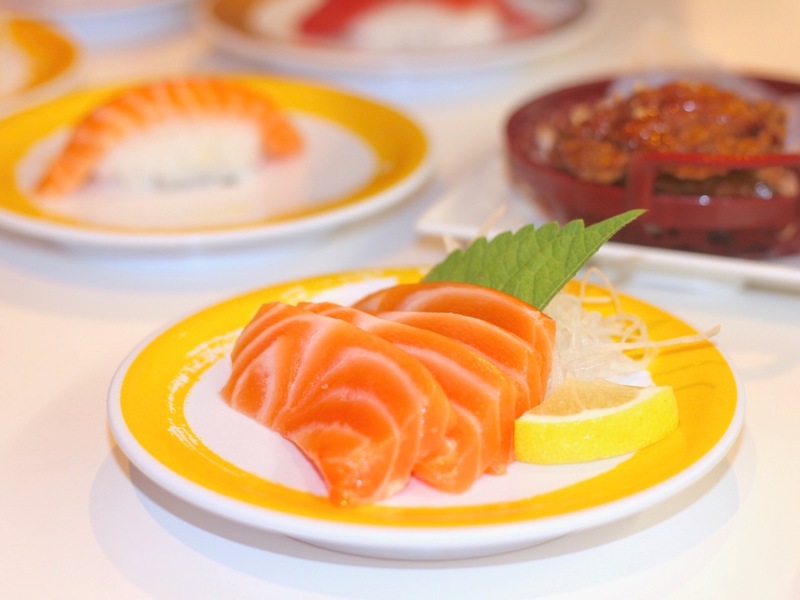 I honestly loved everything salmon that we consumed, whether cooked or raw. 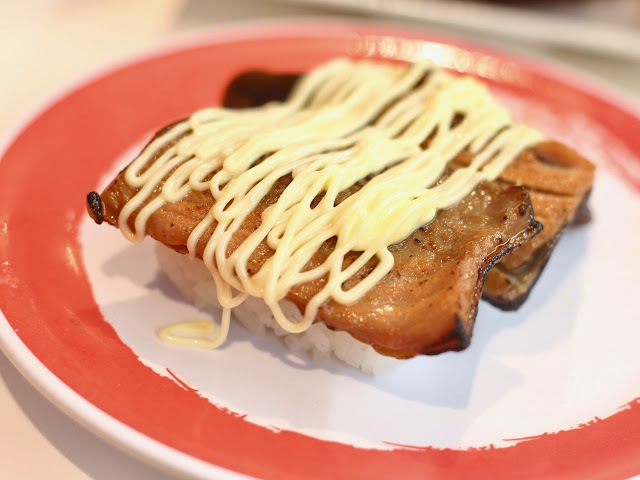 I liked the seared salmon with pollock roe because of the perfectly cooked salmon and the added flavor from the pollock roe. 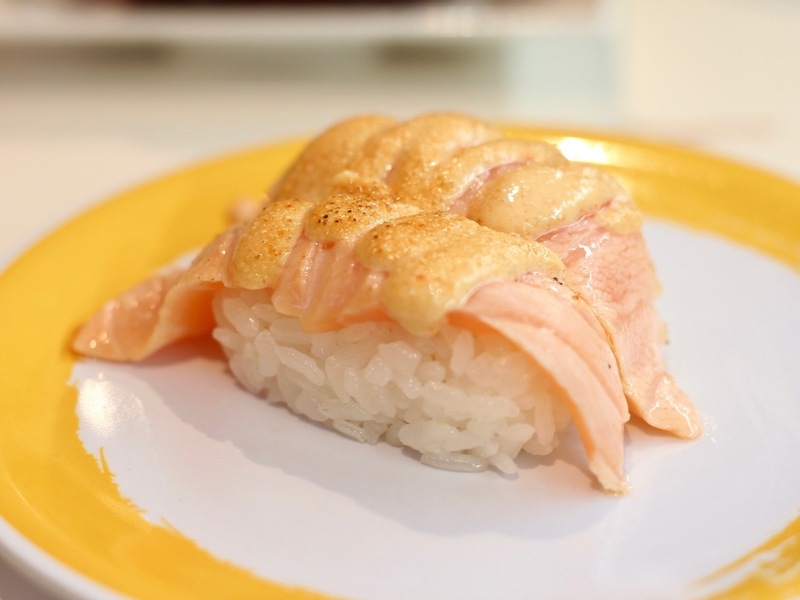 The seared salmon skin nigiri, on the other hand, happens to be the favorite from the people at our booth. It's a must-try, especially for those who do not enjoy raw sushi. 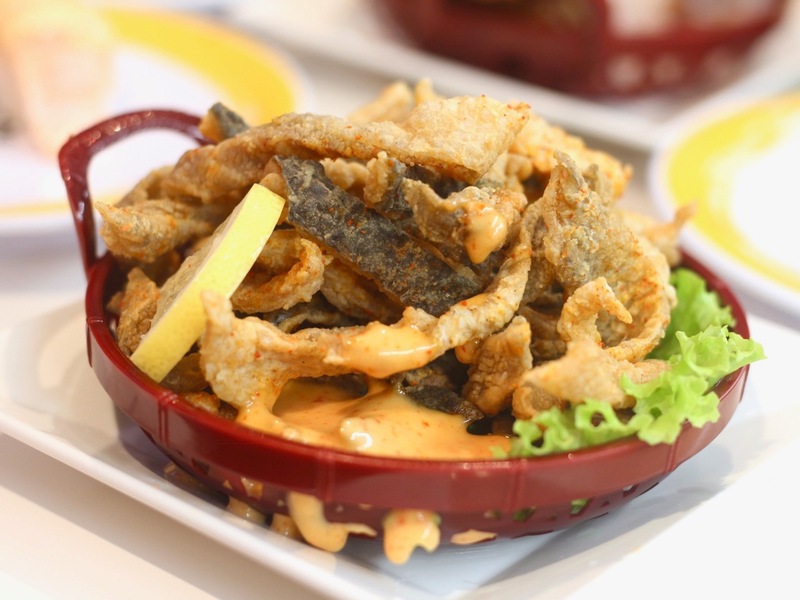 An order that we unexpectedly loved was the fried salmon skin. 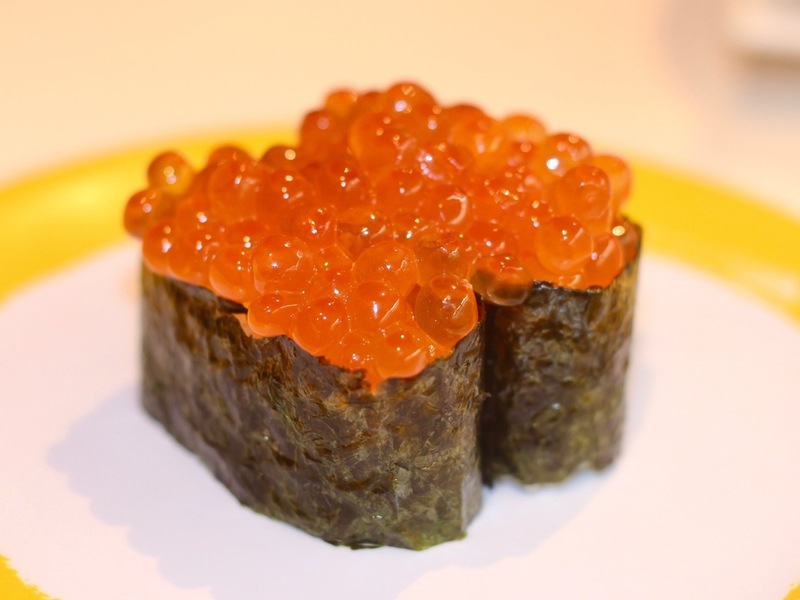 It packs a nice crisp and a bit of a kick in every bite that complements with their dip. 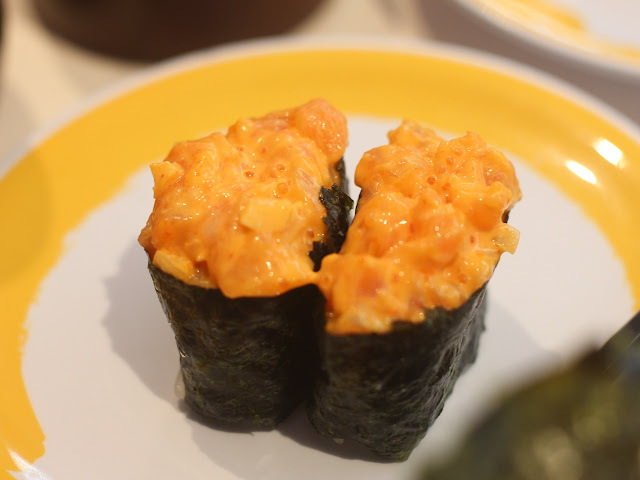 The hana sushi is rice wrapped in raw salmon, topped with mayo and fish roe. It tasted great, but I still prefer plain salmon sashimi with lemon juice. 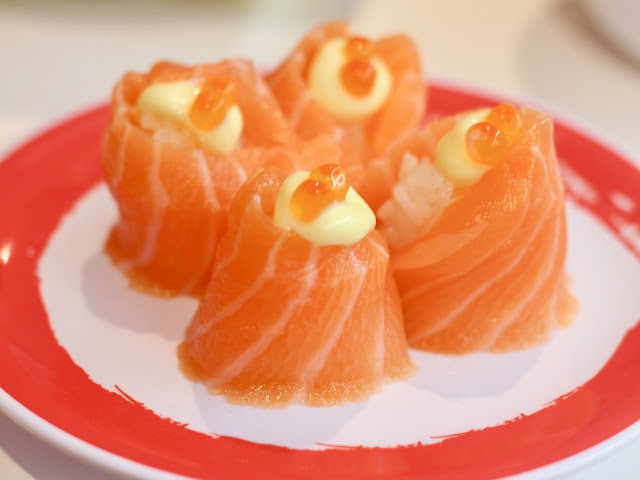 And of course, no trip to a Japanese sushi restaurant will be complete without a plate of fresh, Norwegian salmon sashimi. 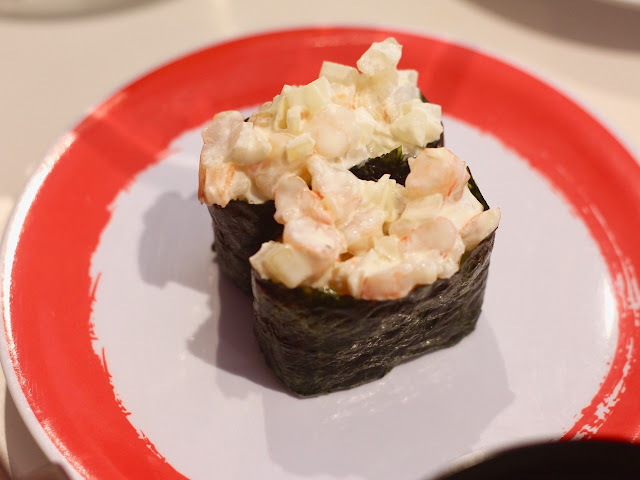 Since the california roll is an old and boring choice of roll, we opted to try the more uncommon ones. 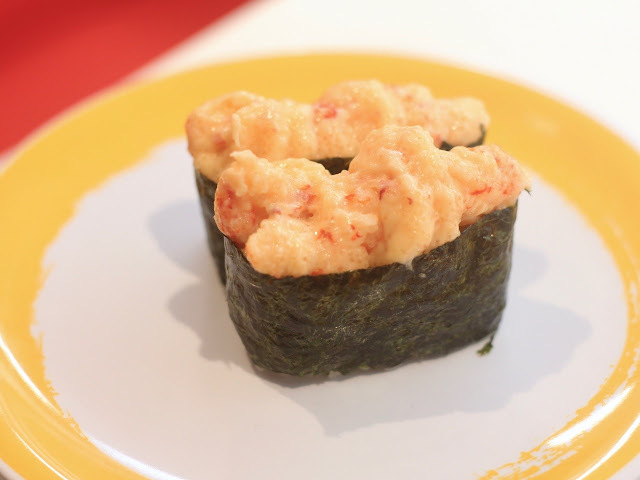 A chunk of shrimp in a sushi roll like the shrimp tempura roll seemed like a great choice, although it wasn't as special as we thought. 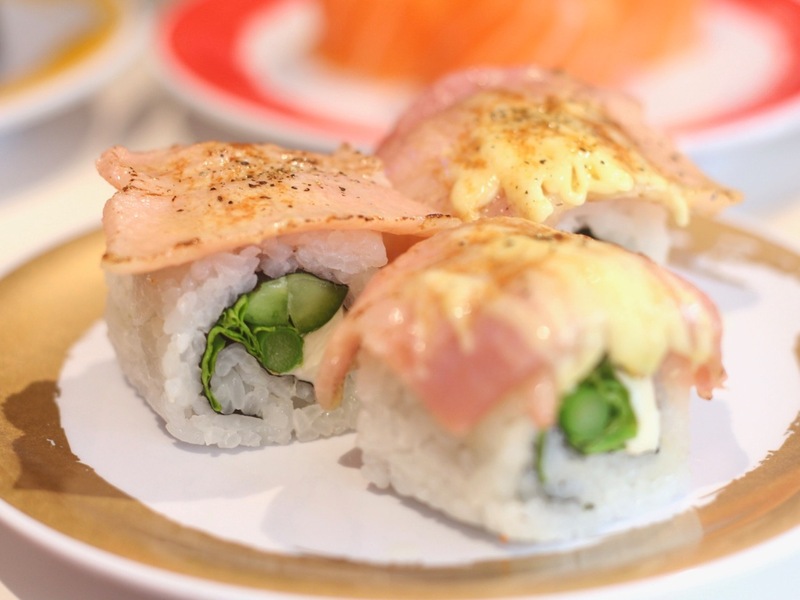 For something with some vegetables, we tried the bacon and asparagus roll, which had cuts of asparagus rolled in rice and topped with bacon-cut pork and cheese. 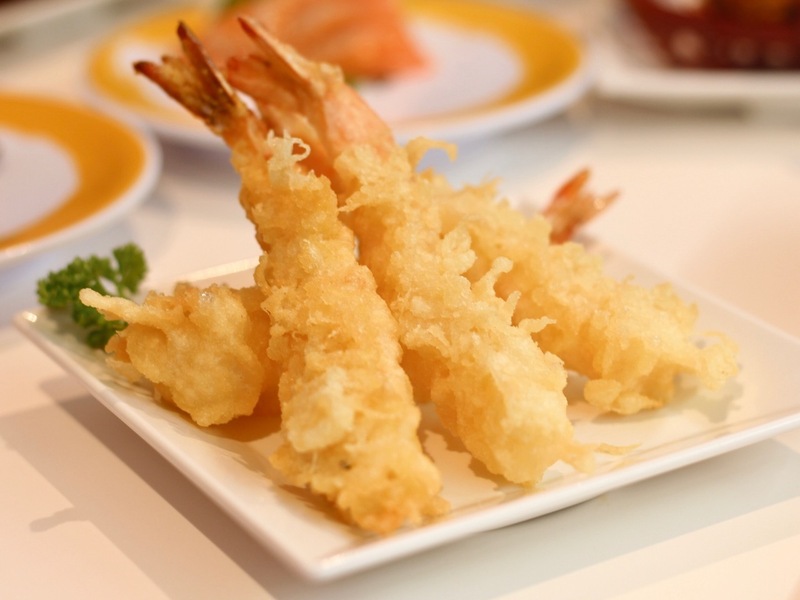 My friends were disappointed with the shrimp tempura, but I had a different opinion on it. The tempura was bland to them, but not for me. 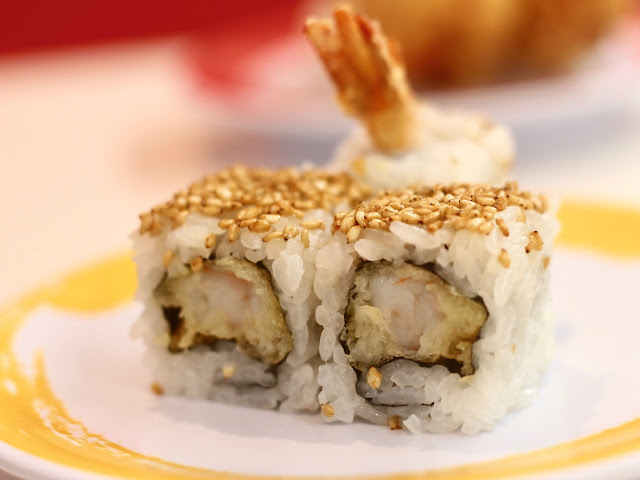 I liked how simple and light it tasted, especially with their tempura sauce. The kanikama trio is a sampler of their seared kanikama, seared kanikama with pollock roe, and seared kanikama with black pepper. 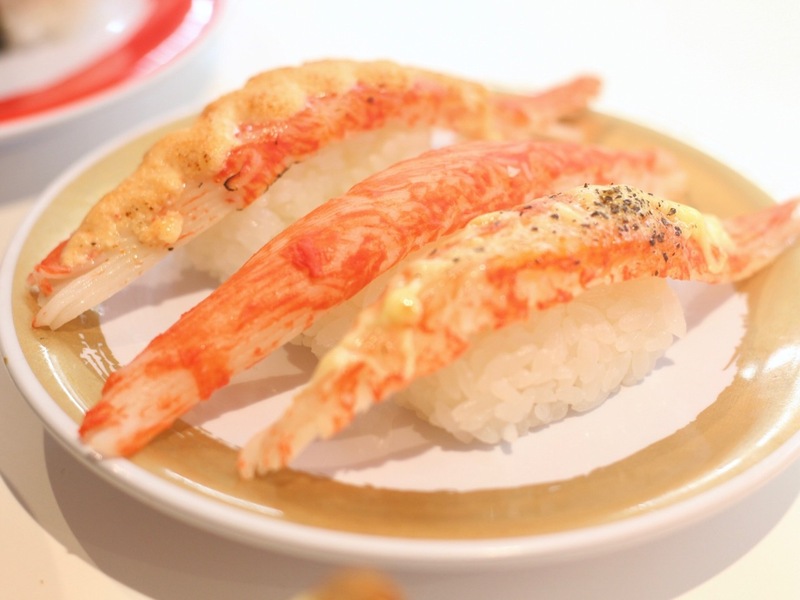 I know the Japanese to be a people who hate anything ridiculously sweet, and it's something that is reflected in Genki Sushi's desserts. 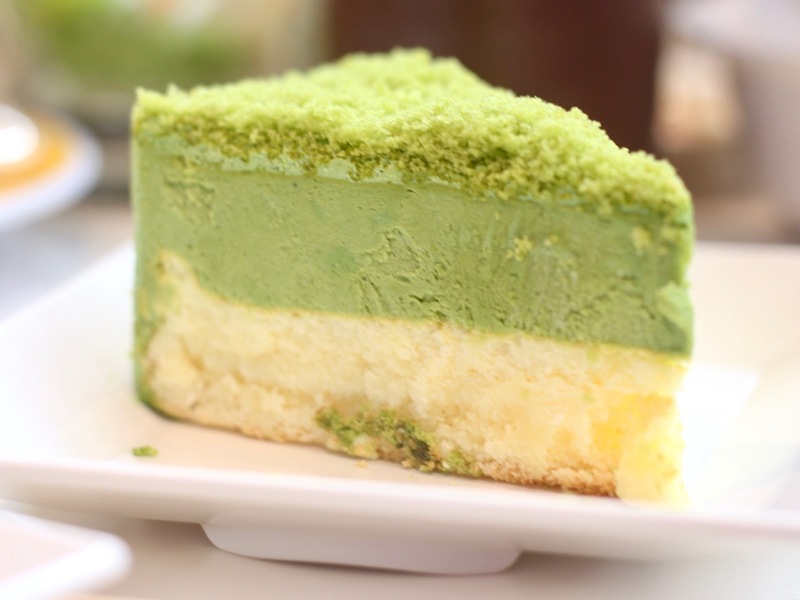 Their matcha double fromage was very light, although I would have preferred it to have a stronger matcha taste. 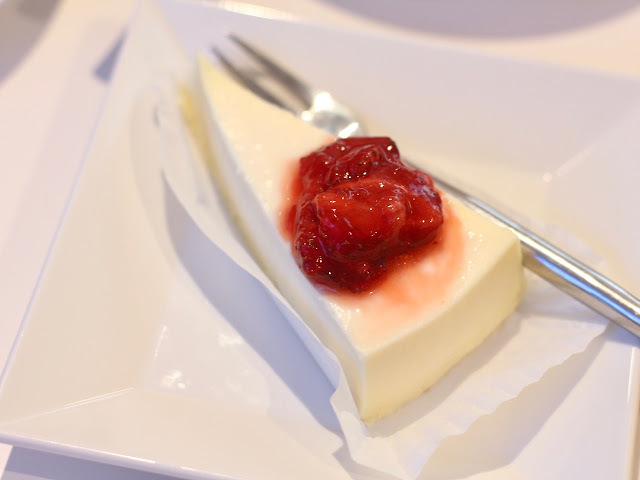 The strawberry cheesecake had a very smooth texture, and used a cheese that tasted different from the usual cheesecake we have. It took a while for me to appreciate it, but I did. 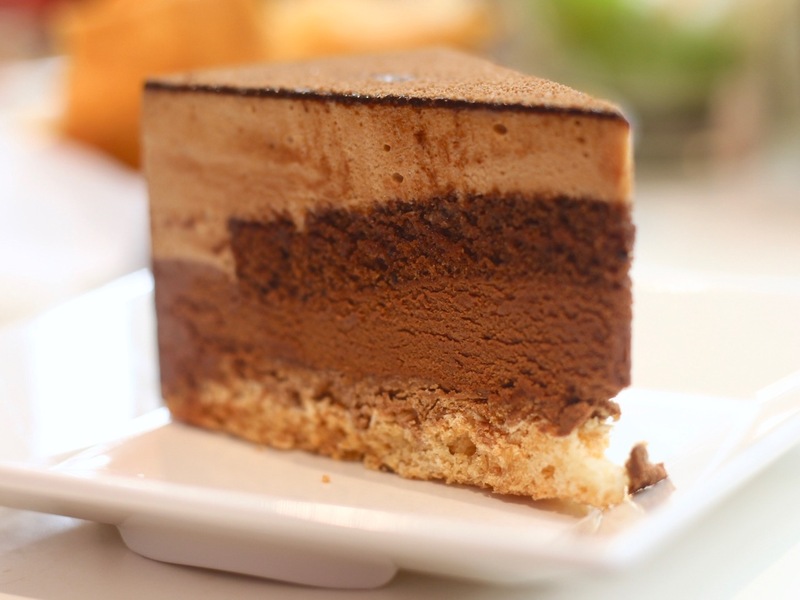 Their chocolate mousse had different layers of chocolate with different textures, and a bottom layer made with meringue that made the cake more enjoyable. 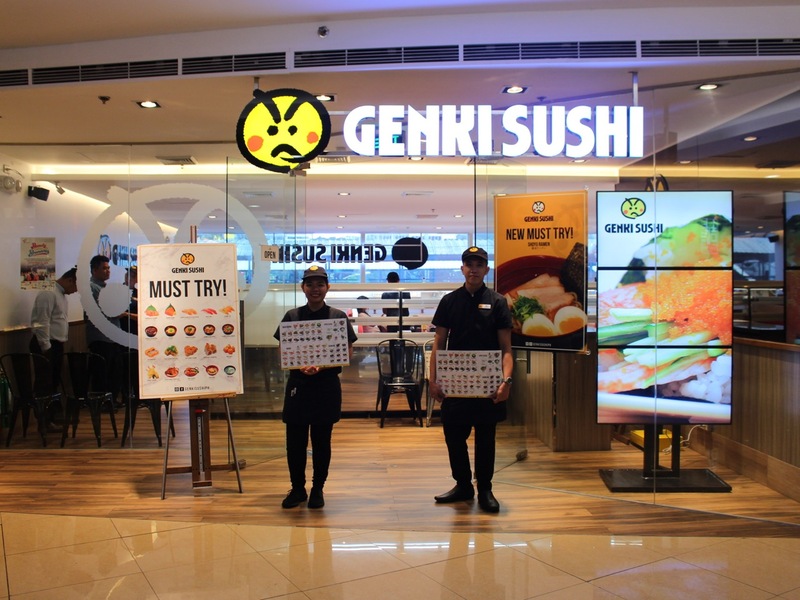 Not only does Genki Sushi serve delicious food from quality ingredients, they also have the best and friendliest wait staff that completes a memorable Genki experience. It doesn't matter when, or who I am going to be with, or whether I have to come alone, but I will definitely be back for more of Genki's sushi. Check out Genki Sushi's World Kitchen Fight 2018 here.